Ho! Ho! Ho! 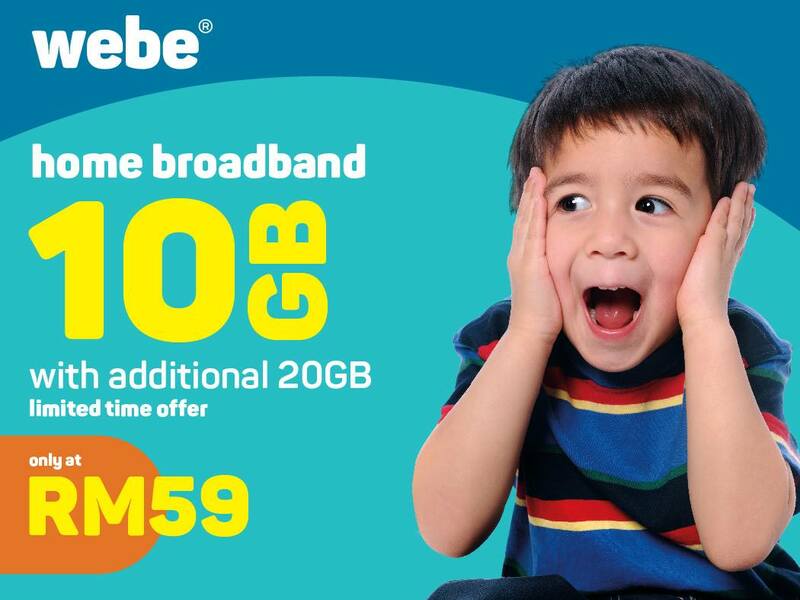 🎄Christmas came a little bit early this year as we launch a simple and hassle-free webe broadband service at RM59 for 10GB, no contract. ✨ How awesome is that?! Home broadband now at just RM59! get 10GB plus additional 20GB for limited time. Free additional 20GB is valid until 28th February 2017. You can only access the internet using this SIM. Voice call is not supported. It can connect up to 10 devices concurrently. Just insert the SIM into tablet. No installation required. It works on LTE network where our coverage is available. Simplifying your needs, making it easier for you to stay connected. What's the 20GB Free Internet Quota? It is an additional monthy Internet quota that we are rewarding the early adopters on top of the existing 10GB offered in the package. This 20GB free Internet quota is valid till 28 February 2017, 11:59pm. Upon which, the 10BG quota reverts on 1 March 2017 at 12:00am. Only members who subscribe before 28 February 2017 will get to enjoy this additional monthly free Internet quota.